Still posting pics of leaf-design lattes? 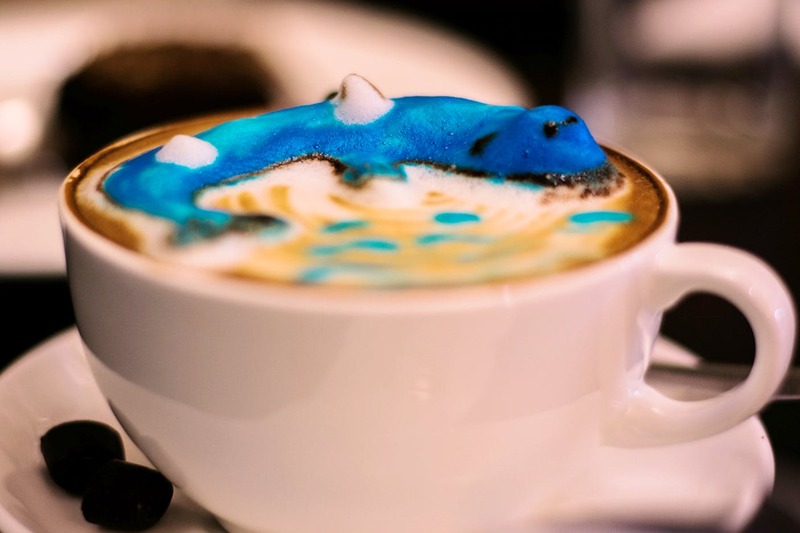 The coffee trend taking Insta by storm is 3D latte art. And cafes in Kolkata are catching up. Or at least the Pit Stop Café is. We found this quaint little café where you can go with the squad for a good time and great Insta snaps. It’s one of the few independent cafes in Kolkata that aim to set themselves apart from the chains by creating original and highly Instagrammable latte art. You’ll love the ingenious brightly coloured latte art on top of artisanal brews. They are really stepping up their game with their quirky 3D lattes made with milk froth and decorated in multi colours. It isn’t just the latte that sets them apart though. The space is colourful too with a lot of natural light flooding in through the big glass doors. The menu has a wide range of teas and coffee, we especially loved their green tea latte – a lovely concoction of matcha and coffee and is a perfect alternative for your health routine. Cost For Two: INR 550.